When she wakes up she finds her whole family have committed suicide (except her mother who slits her own throat right there). Over to Sam who, last episode, started making a deal with Rowena which may be the worst idea ever. Her price is to kill Crowley – which Sam is happy to do and doesn’t even care about her motives (and she’s all set to sell a sob story). First step in reading the book is finding the codex of dead coven witch, Nadia and bringing it to Rowena. Probably making her even more powerful. This could not possibly be a worst idea. The Codex was taken by the Men of Letters. Dean, meanwhile, has gone on a bit of a killing spree and really enjoyed himself much to Sam’s horror. His victims, however, are 6 vampires (on his own which is pretty impressive). Sam is upset that Dean went killing without him – but Dean, after much light hearted snarking, admits it’s the only way he can “take the edge off.” He’s also tried of Sam’s “diseased killer puppy” look. I actually love that description – it’s a perfect way to describe the mix of pity, disgust and horror on Sam’s face. Magical death box? Of course Sam is interested. Also when hearing about a super dangerous magical death box (containing and even more dangerous magical book), of course Sam calls Rowena (who isn’t a morning person). At least he gets a spell from her rather than inviting her to come along. So off Sam goes and has two problems – a woman with a gun who objects to him picking the lock on her door and Dean following him. Dean understands Sam is pissed at him going off on his own and apologises – and Sam totally doesn’t have to go off alone to prove the point. Errr… ooops. Come clean now Sam, it’s the only way you’re getting out of this. So Dean distracts the woman, Suzy, playing neighbourhood watch while Sam sneaks in the back. Dean gets to hear that not only did Suzy’s family die but so did her aunt who came to look after her and, unwisely, went in the basement. Suzy’s paranoia (and good instincts) leads to her point a gun at Dean while Sam works the woo-woo in the basement. She demands Sam join Dean upstairs. Then panics when she hears Sam open the door. The green smoke is unleashed and Suzy starts shooting as she hallucinates her dead family. Sam tries to help her as she shuts herself in and her dead relatives try to drive her to suicide. He fails. Bye Suzy. She makes a reappearance as a hallucination for Sam to point out how he’s pretty much responsible for her death. She does make the awesome point of Sam considering his search worth it so long as he and Dean get out alive – regardless of who else doesn’t. She tries to shout him into suicide until she’s banished by Rowena. The fog also gets Dean and he hallucinates his time in purgatory and with Benny meaning he can’t see Rowena. They tie up Dean while they work on the box and hallucination Benny tells Dean how much he loves killing and how suicide is the clear way out: the only way he can ensure the Mark doesn’t make him kill other people. And the selfishness of Dean’s plan – making Sam and Castiel kill him if he does go off the rails. Sleepwalking Dean breaks the ropes holding him and smashes a glass bottle into a weapon. And then stabs Benny – the Mark of Cain does not let the cursed escape through suicide. Opening the Werther box requires blood from a Man of Letters – Sam. A lot of blood. 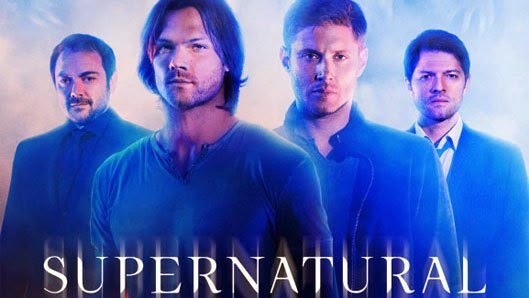 Dean snaps out of his hallucination in time to find Sam suffering from severe blood loss which he, naturally, assumes is because of a hallucination. When Sam protests about the blood lock Dean points out that they’re both legacies – 2 people can give blood rather than Sam dying. They open the box, break the spell, get the codex and smash the box for good measure. Still either in the dark or really trying to push Sam to come clean, Dean apologises again to Sam for going rogue. Eat that guilt Sam! Sam takes the book to Rowena, but also has the half-way decent sense to put anti-magic shackles on her. He also intends to burn the book after she has taken the cure for Dean out of it. Can I say again just how very very foolish this is? Rowena? Working with Rowena? All the years of mystical people they’ve met and Rowena is all they can come up with? She can’t even translate the book without another evil book – why not try using the evil books yourself without getting the wicked witch of Edinburgh on side? …but do we even need them developing? Really? I mean, aren’t they already super clear and done? “You will kill anyone so long as you and your brother are alive” uh… yes? Where have you been? They’ve been literally selling souls for each other since season 1. The whole meta plot of the entire show is that Sam and Dean will kind of let the whole world burn. This whole episode left me feeling moderately bored – the plot of the week isn’t that interesting, Sam’s actions are down right frustrating in their ridiculousness and the attempted emotional punches have been done.